Cuba will celebrate World Girls of Information and Communications Technology Day next April 27th which is a project supported by the members of the International Telecommunications Union (UIT). Leticia Barreda, specialist of the Institutional Public Relations Department of the Ministry of Communications (MINCOM) said that the objective is to create a favorable world environment to the empowerment of girls and young women and a way to influence in their decision in the field of TIC. The Working Group of the Summits of Information Societies coordinated by MINCOM proposed an extension of the national celebrations to all sectors of society with educational and recreational activities that will allow learning, playing and exchange experience on the development of the technologies in the country. 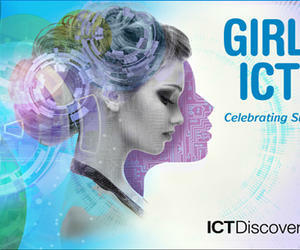 World Girls in the TIC was approved in 2010 during the UIT Conference in Guadalajara Mexico, and is celebrated since 2011 every fourth Thursday of April and is part of the promotional policies of gender equality and the empowerment of women through technology. The International Telecommunications Union –specialized organization of the UN- is made up by 193 countries and over 700 entities of the private sector and academic institutions with its headquarters in Geneva, Switzerland and has 12 regional offices in the world.